Excelitas Technologies Corp., a global technology leader focused on delivering innovative, customized photonic solutions, will unveil its new Qioptiq Rotatable (RO) Faraday Isolator at SPIE Photonics West 2018 (Booth # 1031). The rotatable isolator is designed to protect lasers and laser oscillators from back reflection, helping ensure stable operation and prevent optical damage. It is suited for use in industrial, medical and scientific applications. 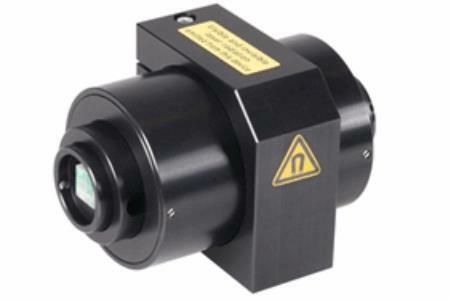 The new Rotatable Faraday Isolator combines compact design, high optical isolation (typically ≥38dB over the entire wavelength range) and easy adjustment according to the linear polarization orientation of the laser. It is easily integrated for use in situations where the polarization orientation of the laser output is neither perpendicular nor horizontal. It can be equipped with a half wave plate option to enable easy adjustment of output polarization orientation according to customer requirements. Using TGG crystal and powerful, rare earth magnets, the isolator provides access to blocked beams and includes optically contacted polarizers for high laser power applications. The new Excelitas Rotatable Faraday Isolator will be displayed for the first time at Photonics West 2018. Excelitas Technologies Corp. is a global technology leader focused on delivering innovative, high-performance, market-driven photonic solutions to meet the lighting, detection and optical technology needs of global customers. From biomedical technology to research laboratory, safety and security, consumer products, semiconductor, energy and environment, industrial sensing & imaging, defense and aerospace, Excelitas Technologies is committed to enabling our customers' success in their end-markets. Excelitas Technologies acquired Qioptiq in 2013 and now has approximately 6,000 employees in North America, Europe and Asia, serving customers across the world.